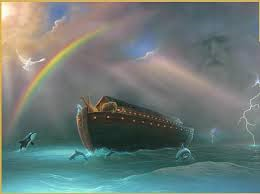 I have recently toyed with the idea of building another ark, and ACTUALLY have pumped lots of water and replaced the water heater. Well, I didn’t replace the water heater but my husband and his friend did. The furnace was saved, and I am grateful. God supplied, in the middle of all that rain, a beautiful weekend for my husband’s non-profit to have a very successful National Rebuilding Together Day. It is a day annually, when almost 200 affiliates nationwide make repairs to homes of Disabled American Vets, the Elderly and families with small children. All who fall well under the poverty line. These are the ones that fall through the cracks, the ones with no hope. I find my husband’s passion to be not unlike the passion of all who work in the ranks of the Erika Kate Foundation. I am blessed to be able to participate with the Erika Kate Foundation. To be a shining light, a glimmer of hope to those who have given up. To show even these, that they have worth, and that they matter. The Erika Kate Foundation has a vision for providing financial, physical and spiritual assistance to families in the midst of medical crisis, working with social workers in pediatric heart centers nationwide. They let these ones know about the Hope that lives in us. Christ in us, the hope of glory. Colossians 1:27. At the beginning of April, I asked my team to please consider what they have been sowing into their passion. If the things they have been spending their time on, were feeding into that passion, or taking away from it. Since that time, I have not only been spending time feeding into my husband’s passion, Rebuilding Together, taking care of the widows and the orphans, James 1:27, but considering what my passion for studying God’s Word, and how I might share His truths with those I come in contact with. I have found myself distracted. I am distracted not only by my own thoughts, but by the wants and needs of others and a plethora circumstances beyond my control. Don’t stop. Continue to drag yourself (sometimes literally) to the places and things and people who can breathe life and energy into you. Forget not, that God is waiting in the Secret Place for you. He is there whether you are feeling very strong, or very weak. The people that God has put in your life, He has put there on purpose. Iron sharpens iron. Proverbs 27:17. They also carry your cot when you are not strong enough to carry it yourself. Mark 2:4, Luke 5:19. I know that this has been my experience for the last little while. I am confident that someone who is reading this now is facing the same thing. Guess what? This means you are doing it right! If you are seeking God’s face, Psalm 27:8, then these things will come upon you to make you stop. 1 Peter 4:12. Don’t give up ! Keep seeking !